The L120-U801e is a 1U Rackmount LCD Monitor with 20" Samsung LCD with integrated 1-console (1 x local), 8 port Combo Cat6 KVM Switch. The keyboard is a 104 key notepad keyboard with touchpad mouse. Answer: Thank you for your inquiry. 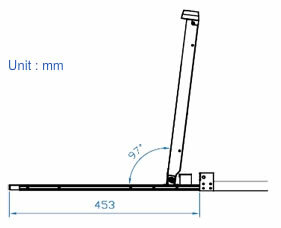 The manual for the LCD drawer can be downloaded here: http://www.42u.com/pdf/ah/UM-CV-L120.pdf.